Highlights and how to get to Jisso-in Temple. 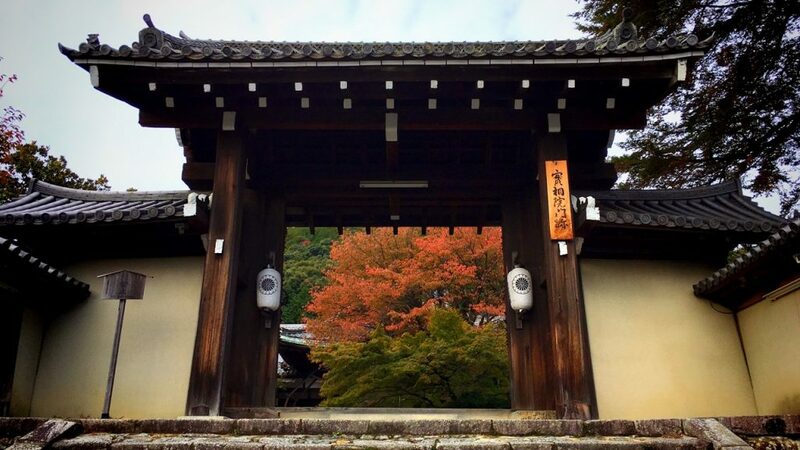 Jisso-in Temple is a Buddhist temple located in Iwakura, Sakyo Ward, Kyoto City. 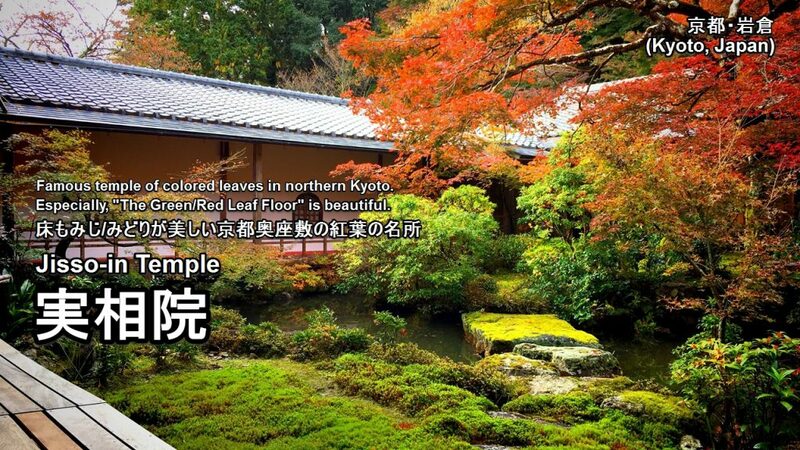 Have you ever heard the word “Green leaf floor” and “Red leaf floor“? 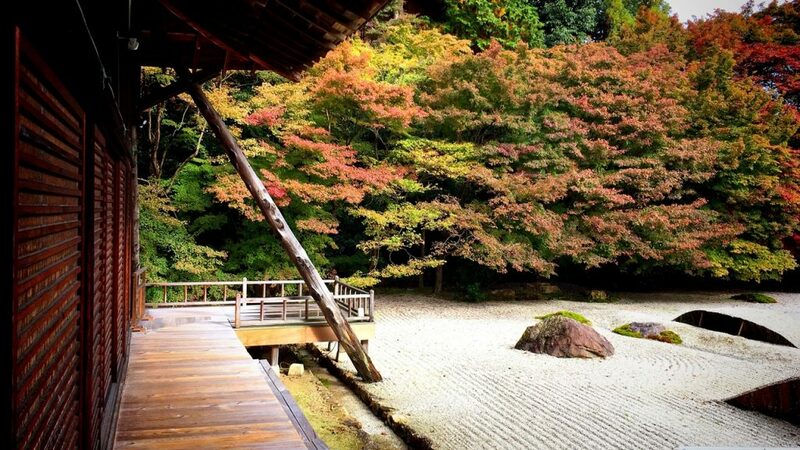 Jisso-in Temple has beautiful scenery which is known as “Green leaf floor” or “Red leaf floor”. 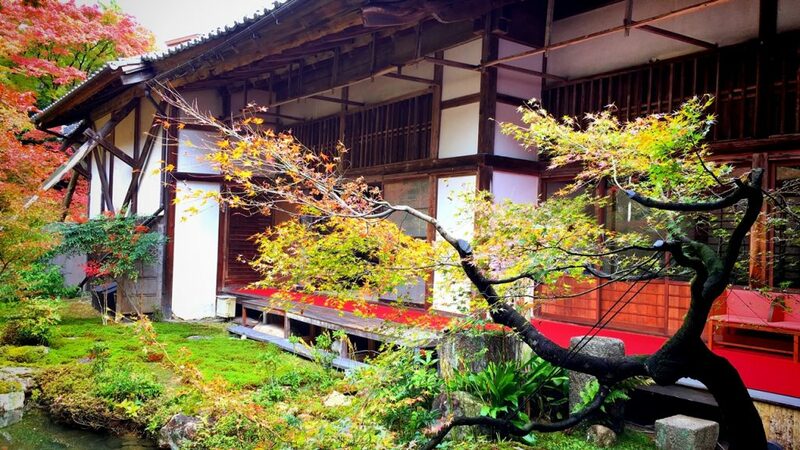 In addition, there are two Japanese gardens which has different scenery in the temple precincts. 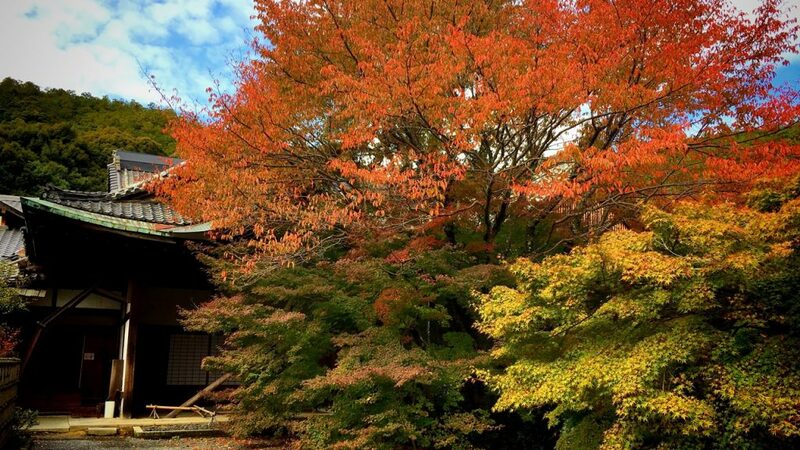 These gardens are also famous for its beautiful autumn leaves in North Kyoto. 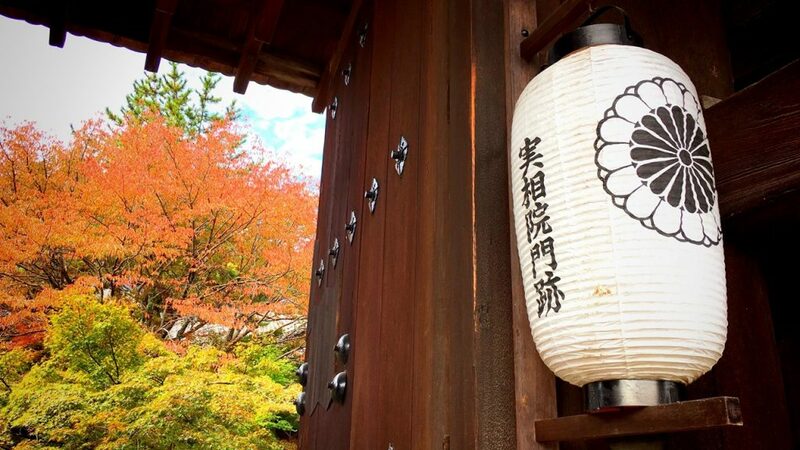 Jisson-in Temple is a monzeki temple, which is a special term for temples that have strong connections with families of imperial or high rank (court officers, samurai feudal lord families). 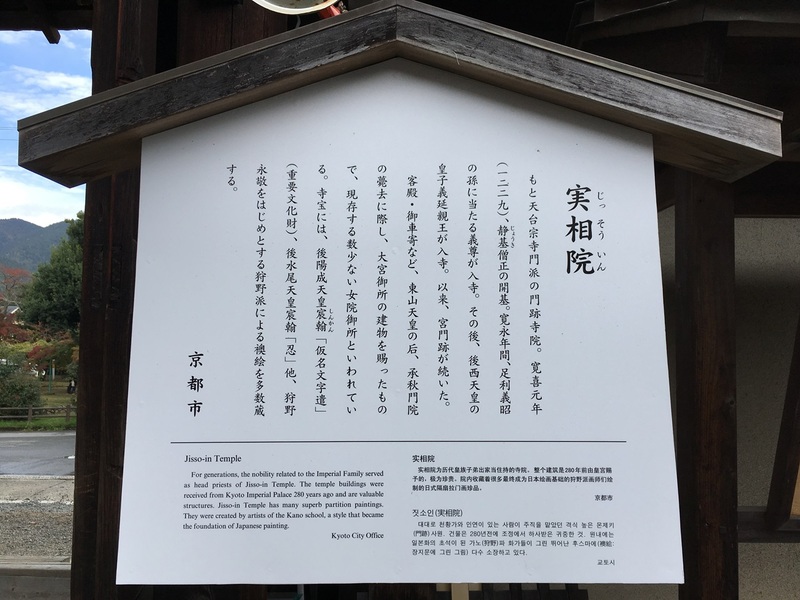 Traditionally, members of these families served as the head monks (or nuns) of monzeki temples. 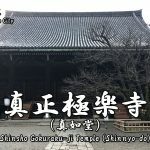 Monzeki temples had great influence in the field of Japanese Buddhism while at the same time maintaining a special cultural and political relationship with the imperial family and samurai feudal governments. 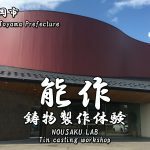 Because of this characteristic, monzeki temples have histories and cultural legacies that differ considerably from other kinds of temples. 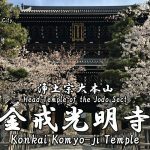 This temple is one of the Monzeki Temples (a temple in which the head priest was traditionally a member of the Imperial Family or Regent Family). 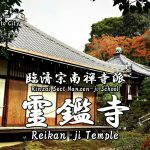 Therefore, this temple is also known as ‘Iwakura Jisso-in Monseki Temple’. This temple is now independent from the Tendai Sect but was originally a Jimon School of Tendai Sect. The principal image of this temple is Fudo Myoo (Acala). 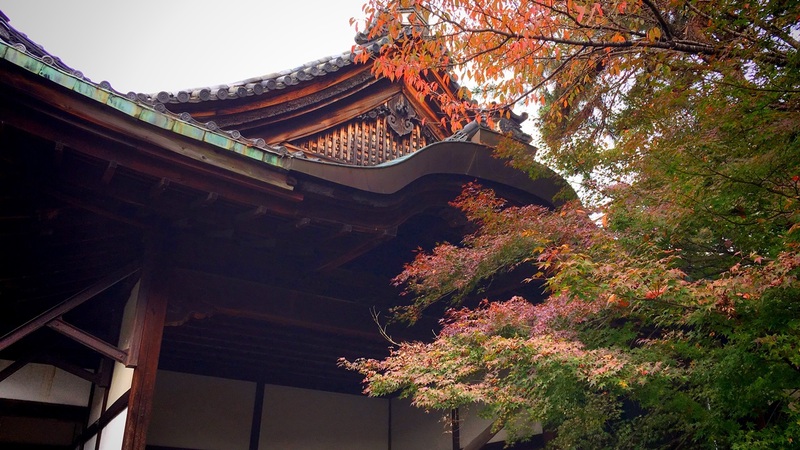 This temple is famous for its beautiful autumn leaves. 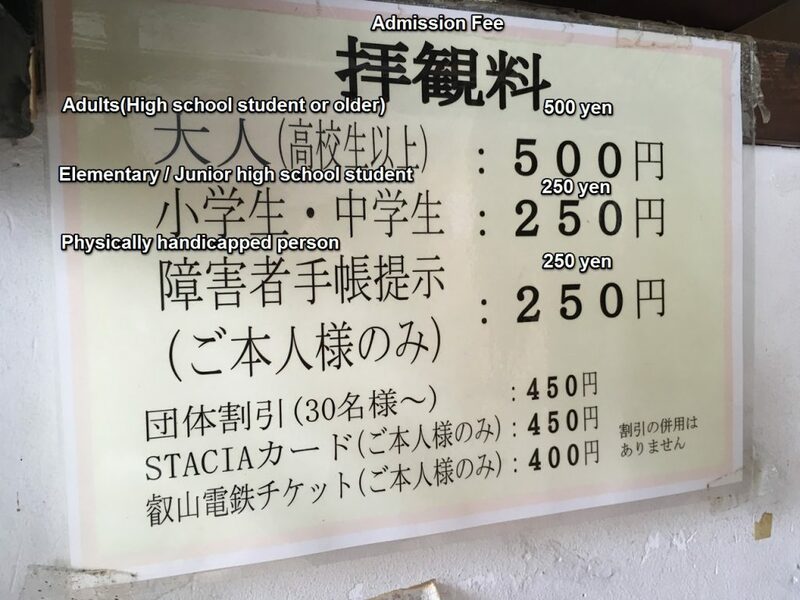 An admission fee is 500 yen (Adults). The floor of this temples is thickly lacquered. Therefore outside scenery reflects on the floor. Spring is pink of the cherry tree. Summer is green of the maples. 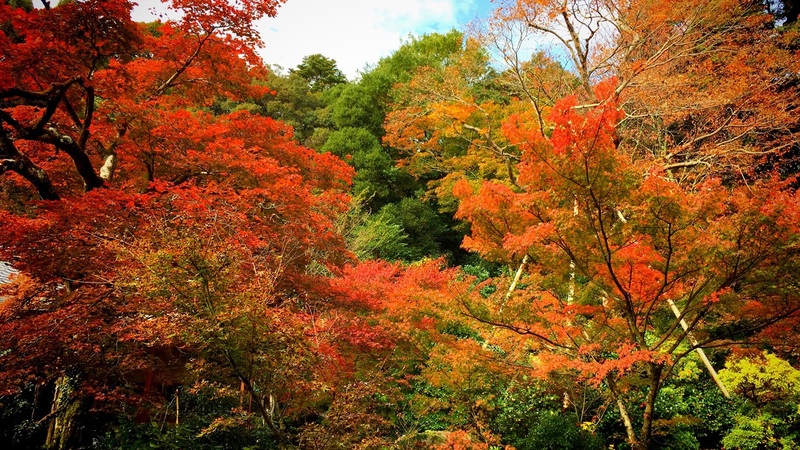 Autumn is red of the colored leaves. Winter is white of the snow. 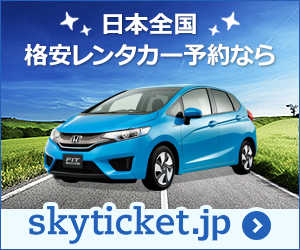 A nickname of this floor’s beautiful scenery is “The Green Leaf Floor” or “The Red Leaf Floor”…etc. The scenery of this room became the collection of photographs. But, it’s prohibited to take photos in this building (include this floor). There is the landscape garden between Kyakuden (reception hall) and Shoin (Study Hall). 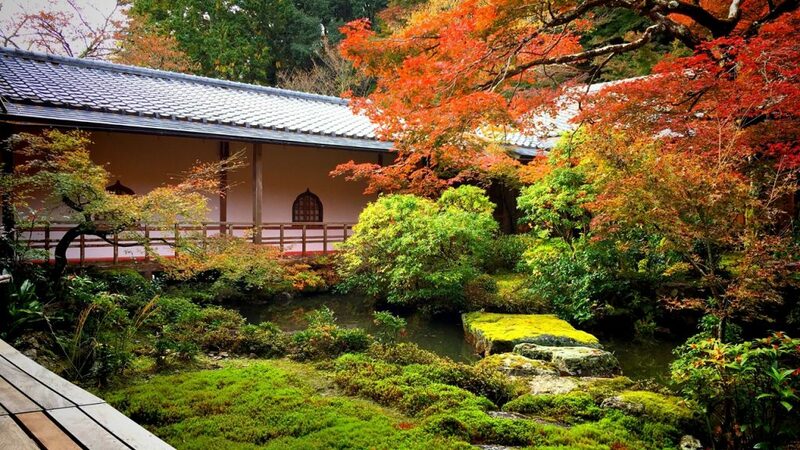 This garden is the Chisen Kaiyu style garden (a style of Japanese garden with a path around a central pond and spring). In autumn, the maple leaves in this garden turn red. 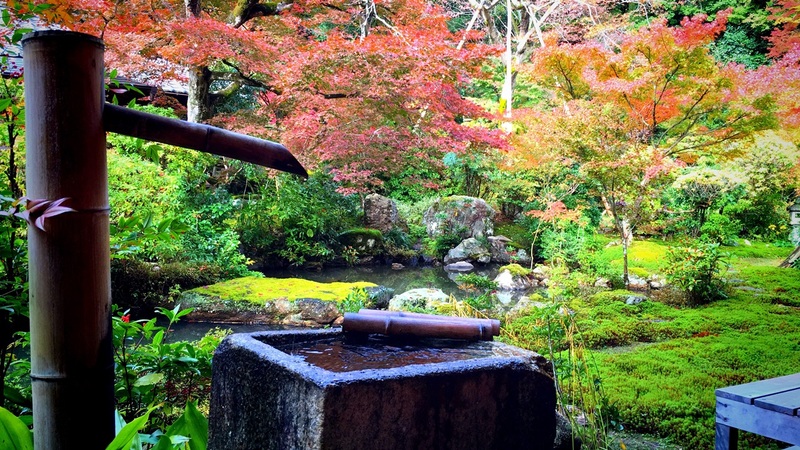 We are able to have a relaxed time while looking at colored leaves in this garden. This is another garden of this temple which is called “Kokoro-no-oniwa”. 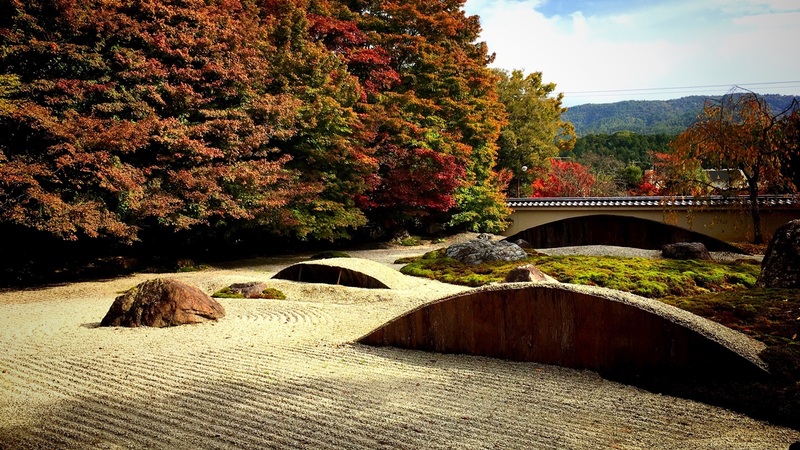 This garden is the dry-landscape garden which is called “Karesansui”. The characteristic of this garden is three wooden big art objects. These art objects are expressing a big wave. 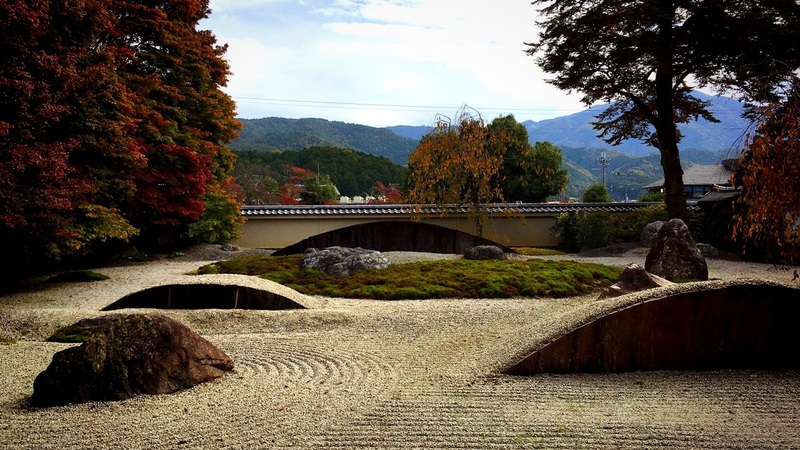 This garden has the borrowed landscape of Mt. Hiei, as seen at the back. 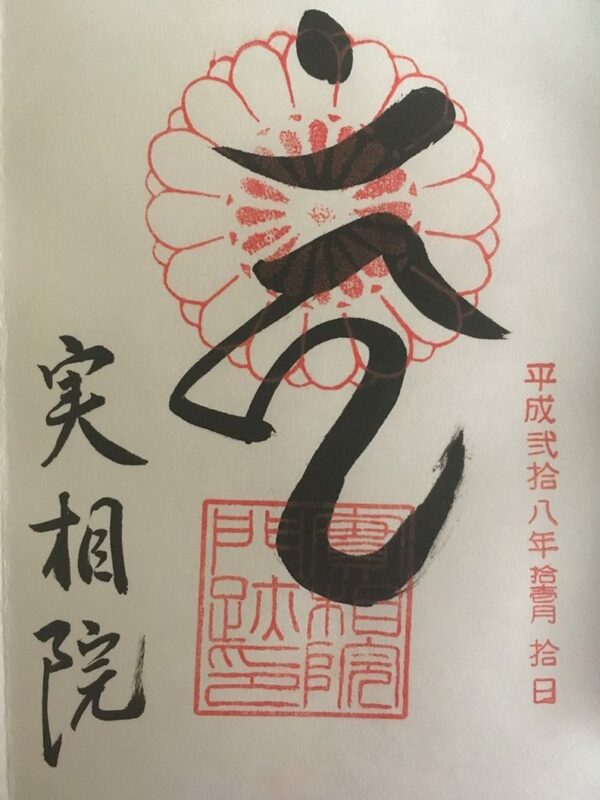 The sanskrit characters which can read as “カーン(Kan)” is written to Goshuin with a sumi. “カーン(Kan)” is the sanskrit characters to express Acala which is the principal idol of this temple. 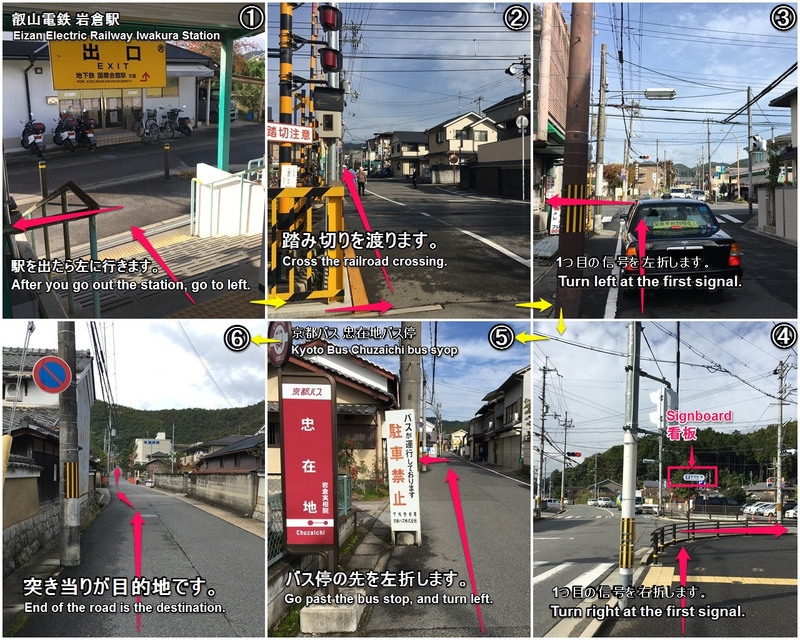 The nearest station of Jisso-in Temple is “Eizan Electric Railway Iwakura Station”. 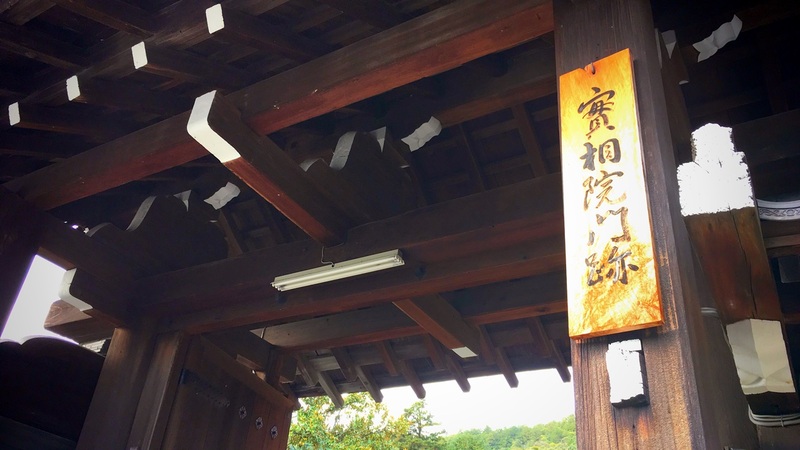 It’s about 25 minutes from Iwakura station to Jisso-in Temple on foot. 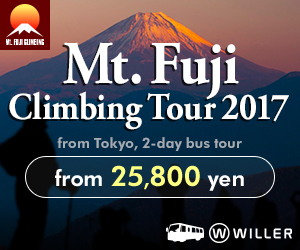 We can go by bus or on foot. 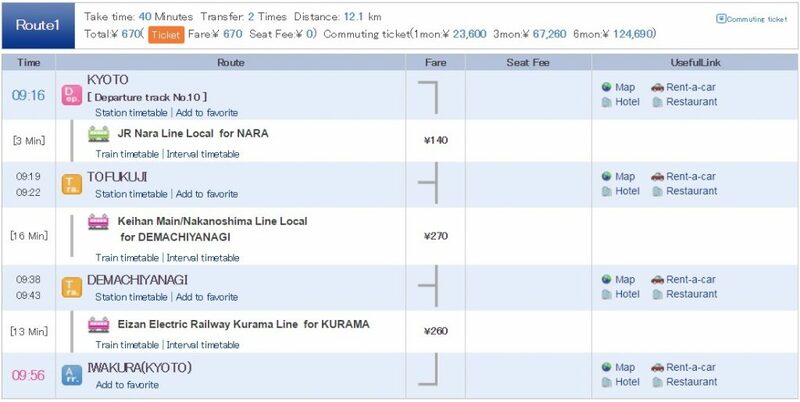 It’s about 25 minutes (1.5km) from Eizan Electric Railway Iwakura station to Jisso-in Temple on foot. 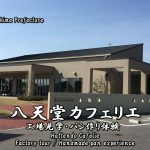 Please try to go to this temple! !